I'm always amazed by things that have been completely taboo and then normalized within my lifetime. Maybe normal is not the right word to use in this instance, but you certainly wouldn't be driven out of town with pitchforks and torches. The thing I am speaking of is the time Michael Jackson was rumored to have attempted to buy the skeletal remains of The Elephant Man. Now there are actual stores you can go to to buy skulls or bones or whatever other bits you want to own, but back then that was super creepy. I remember hearing about it as a kid and wondering what exactly he planned to do with it. In my mind he would mount it above his bed like a taxidermied fish. I'm not sure why the reclined skeleton of Joseph Merrick on the wall of his bedroom is what I automatically came up with instead of a nice museum quality display case, because that seems really weird thinking about it now. Where you choose to put your Obsidian Black FrankenMerrick from Miscreation Toys is up to you and I promise I won't find it to be weird. 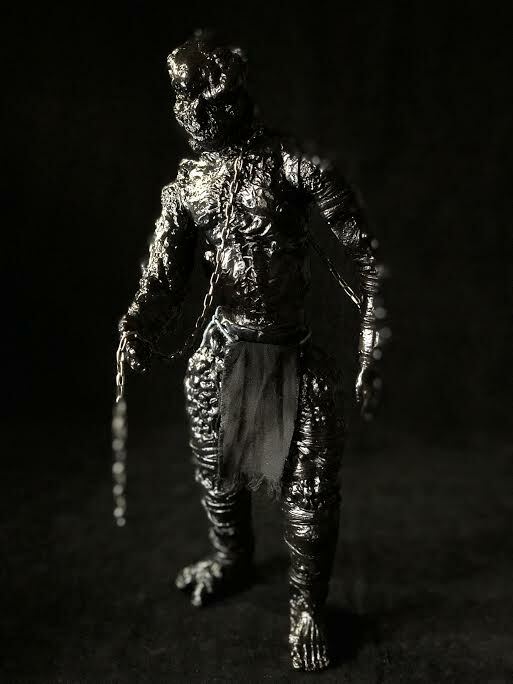 This sofubi figure combines one of medicine's most famous anomalies with the fictional creature of Mary Shelly's classic novel to create something at home in any nightmare. Standing at 12 inches tall and featuring 7 points of articulation, each figure will retail for $150 as part of a preorder that is limited to 25 pieces. Everyone who purchases one will also receive a lottery ticket that gives them a chance to win a special 1 off custom figure. 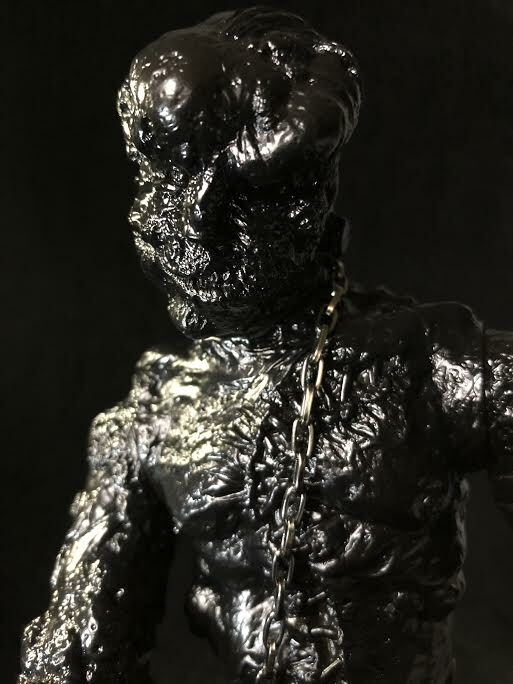 The preorder starts at 3pm est today, Friday February 1st at https://autopsybabies.bigcartel.com.